The smashing cover photo is by Tom Ryan. This is Martin’s first issue as Reviews Editor, and he’s instituted a few changes — not least of which is his opening column, which you can read here. As ever, we welcome letters of comment, or feedback on the forum. 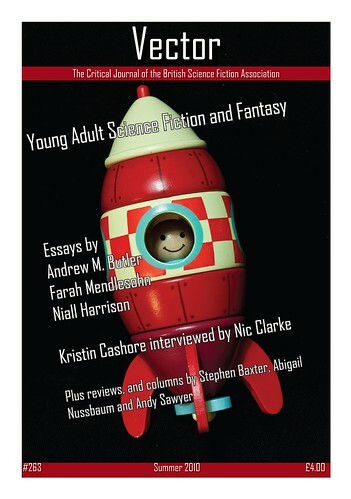 Also of note: you can listen to Jonathan McCalmont’s interview of Lauren Beukes (from last week’s BSFA meeting) on the BSFA website, here.